The Grand Old Party is cooking something new in the House of Representatives. With House Speaker Paul Ryan at their head, the Republicans on Wednesday have presented a proposed alternative healthcare plan that they see could replace the utterly despised (by them) Obamacare program, while retaining elements that have been well-implemented. This proposal, according to Newsweek, is but one of a general Republican governing agenda –named “A Better Way” – that is being offered since the beginning of the month for public scrutiny before the November 8 Elections, wherein the GOP plans to keep a majority on both Houses of Congress as well as win control of the Presidency, presumptively with fiery Donald Trump. The healthcare alternative comes at the heels of earlier presented initiatives on national security and anti-poverty measures, with topics on tax reform and constitutional authority soon to follow in the coming weeks. 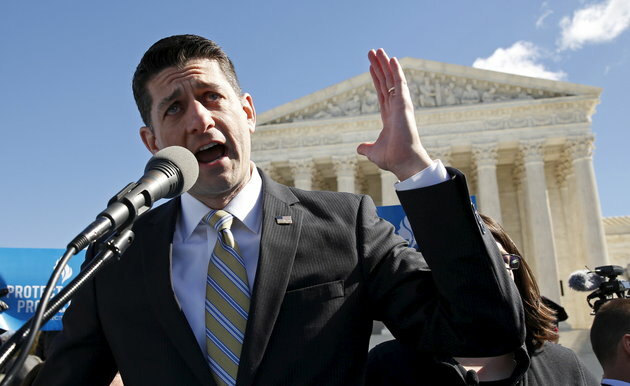 Speaker Ryan, the sixth-highest elected Republican, has led his party’s attack on Obamacare – the Affordable Care Act in full – ever since its implementation in 2010 following one of the most rancorous legislative battles in Congress. Republican efforts have repeatedly tried and failed to get the act repealed, and Ryan’s plan is the latest version of how the GOP would replace it. President Barack Obama, a Democrat, has argued that Obamacare has successfully granted healthcare coverage to some 20 million American who never imagined such. Republicans have countered that the “Affordable Care” Act instead ramped up consumer costs, saddled employers and care providers with more regulations to adhere to, and gave patients little to no choice in health plans. CNBC.com reports that the Republican alternative, which is not yet formal legislation, would enable Americans to buy health coverage from private insurance through individual tax credits, along with reforms on medical liability and greater access to health savings accounts, both pet GOP ideals. Further proposal on that vein include converting the federal-state Medicaid program into block grants at the state level to reduce spending, and a $25 billion backing on high-risk pools such as for patients with pre-existing conditions. But not all factors have been answered by the proposed alternative plan, like how big the tax credits, the overall cost of the entire program, and the amount of people that can be covered by the plan. Republican aides however state that the proposal is merely that, as in Ryan’s own words Obamacare cannot be successfully repealed as long as the incumbent president is named Obama. The plan could only push through if a Republican is elected President, and actual legislation could be written down in the new administration. In response to this, a White House statement belittled Ryan’s proposal as “vague ideas that would remove insurance from millions and increase medical expenses for senior citizens and hard- pressed families”. Healthcare industry leaders have remained bipartisan on the issue as it is yet unclear who will ultimately win the Elections.